What are the effects of a freshwater oil spill? The footage of the cruise ship the Costa Concordia lying on it’s side in the clear blue waters off the west coast of Italy has once again raised the spectre of a major fuel oil spill into a maritime preserve. Fortunately the seas have been calm and the salvage engineers appear confident that they can empty the on board tanks. So with a bit of luck an environmental disaster can probably be avoided, but what about spills into freshwater environments? Oil spills into rivers and lakes are generally smaller and certainly less headline grabbing than a large scale marine spill, but spills into rivers and lakes are more frequent and potentially even more destructive. 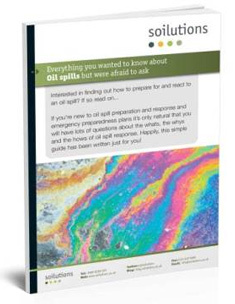 The effects of a spill can vary massively, and are dependent upon a host of factors such as the location of the spill, is it into standing water or flowing water? The volume of the spill, a big spill into a small stream can be devastating. The type of hydrocarbon spilt, for example a heavy oil will behave differently to something like kerosene or petrol. Another factor is the speed and extent of reaction to the spill. The effects of a spill will tend to be worse in standing water or marshland. Although easier to contain and therefore treat, the oil will be more likely to cover the surface reducing the oxygen content of the water and collect in sediments, impacting upon water skimming and sediment eating insects. It will also be more likely to coat plants and impact upon animals, fish and waterfowl by both toxic and ‘oiling’ of animals moving through the water. This oiling of plants and animals is particularly problematic in marshland where a slow flow of water leads to little dilution and potentially a large impacted area as oil spreads in a coherent layer over the surface and settles in sediments. In a flowing river environment the main problem is containment. The moving water will help to break down the hydrocarbons through greater oxygenation and physical dispersion and dilution will mitigate the acute toxic effects and remove the ‘smothering’ of an oil layer. But a fast moving watercourse can result in a spill being quickly spread over a very large area. So by the time anyone reacts there could already be miles of riverbanks where the vegetation is covered with oil. So if you do have a spill it’s best to react quickly, a quick response can’t guarantee there will be no impact but will certainly help to limit the effects. If you find yourself in this situation give us a call 0131 538 8456 and/or info@soilutions.co.uk, or find us here.